A contingency budget is funds that are set aside at the start of the program to deal with unforeseen circumstances, such as overruns and unplanned costs, to ensure the successful completion of the program. Tolerance is a range, normally specified as a +/- percentage of total program (or stage) budget, which you can spend without needing to return to the steering group to ask for further funds. If needed, the contingency budget is always consumed at the end of a project (or stage) to ensure successful completion of the program (or stage). You always need to seek steering group approval to spend any of the contingency budget. Let’s look at an example of tolerance to make this clear. Suppose you have a stage budget of $1m with a 10% budgetary tolerance. This means that you can spend between $900,000 and $1.1m on the stage (between 90% and 110% of the estimated budget) without needing to approach your steering committee to explain why you are over or under budget. We all know that project and program plan budgetary estimates rarely, if ever, tally with the actual monies spent, so our +/- 10% tolerance is the steering groups way of acknowledging this. It might seem obvious to you why we would need to go back to the steering group if the budget went over tolerance, but why would we need go to back to the steering group if the stage was coming in more than 10% under budget? Surely saving 10% is a good thing? The answer is both yes and no. Yes, it is good if the program is coming in under our lower tolerance estimate because the organization is saving money. However, in another way, considering the ultimate aim of an organization is to deliver maximum return on equity for shareholders, then those funds which have been set aside for the program and not been spent have been wasted, as the funds could have been invested elsewhere by the organization to generate a higher return in equity. There is more than one type of tolerance which you can use within your programs. For example, we could use schedule tolerance, or even quality tolerance. 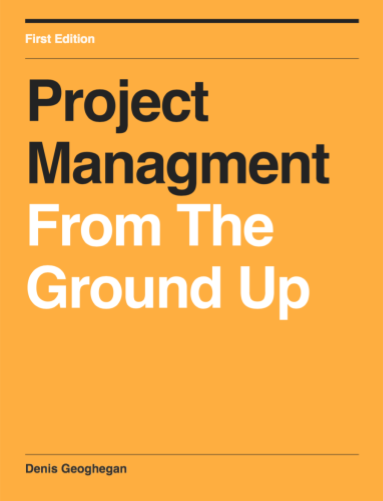 The purpose any tolerance is to allow the program or project run without it’s program or project manager constantly having to return to the steering group with minor change requests. A contingency budget is monies set aside to enable the program (or stage) to complete successfully even if a significant unexpected overspend occurs. Tolerance is a +/- percentage of program (or stage) budget which the program can over or underspend by, without needing to go to the steering group for approval. It enables a program to run smoothly despite the normal hiccups which might occur during execution. In government projects your cannot move the under run from a “work package” or “Control Account” back to Management Reserve. But in the commercial world, that’s what you should do. Also on government projects, management reserve can only be applied to unplanned but in scope work. It cannot cover poor quality or poor estimating. Commercial world is not burdened by this, so you free to apply it in ways best suited to the business.